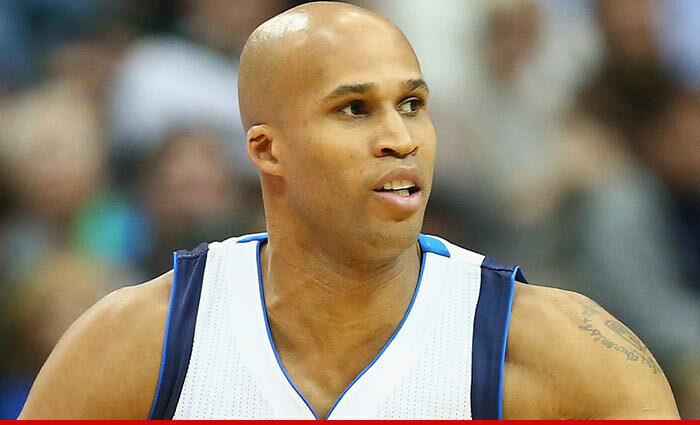 It's like a real-life version of "The Wire" ... NBA star Richard Jefferson says he was taken for $2 MILLION ... and played a key role in a covert FBI operation to catch the (alleged) bad guy and recover his cash. It's all part of new legal docs obtained by TMZ Sports ... in which the 34-year-old Dallas Mavericks forward claims his former business manager Ted Kritza drew $2 million from Richard's bank credit line without permission. Jefferson says he reported the crime to the FBI which launched an investigation -- an investigation that included RJ getting Kritza on the phone and secretly recording a conversation. During the phone call, RJ says Kritza "confesses to wrong-doing" ... and the incriminating recording is now with the feds. BTW -- the bank ended up suing Jefferson for part of the money ... but he wants the court to press pause on that case until the federal investigation into Kritza runs it's course. We reached out to Kritza for comment -- so far, no word back. Drake Honcho -- Birdman Screwed Me Too ... Now Open the Books! 60% Irish & Conor McGregor Loves It!!! ... Spiritual, Emotional & Quite a Show!!! ... Goes Full Bunny Mode!!! I Love This Team, and LeBron!! !